ISLAMABAD: Prime Minister Imran Khan is on a four-day visit to China where he met President Xi Jinping and Prime Minister Li Keqiang and discussed matters of mutual interest and sought Beijing assistance in tackling financial crisis. At the invitation of H.E. Li Keqiang, Premier of the State Council of the People’s Republic of China, H.E. 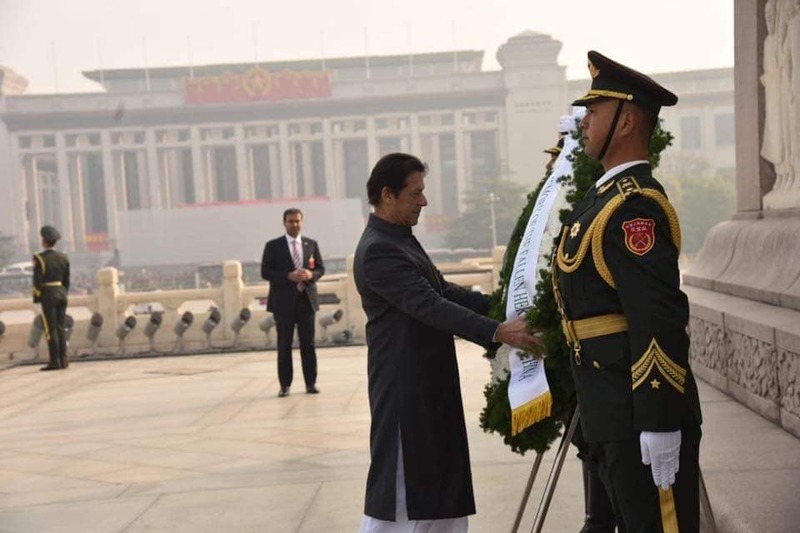 Imran Khan, Prime Minister of the Islamic Republic of Pakistan, paid his first official visit to China on November 2-5, 2018. During his visit, H.E. Imran Khan called on H.E. Xi Jinping, President of China, held talks with H.E. Li Keqiang, Premier, and met with H.E. Li Zhanshu, Chairman of the Standing Committee of the National People’s Congress, and H.E. Wang Qishan, Vice President of China respectively. Meetings were marked by traditional warmth, mutual understanding and trust, and the leaders of the two countries had an in-depth exchange of views on bilateral, regional and international issues of mutual interest. Prime Minister Imran Khan also delivered speech at the Party School of the CPC Central Committee. 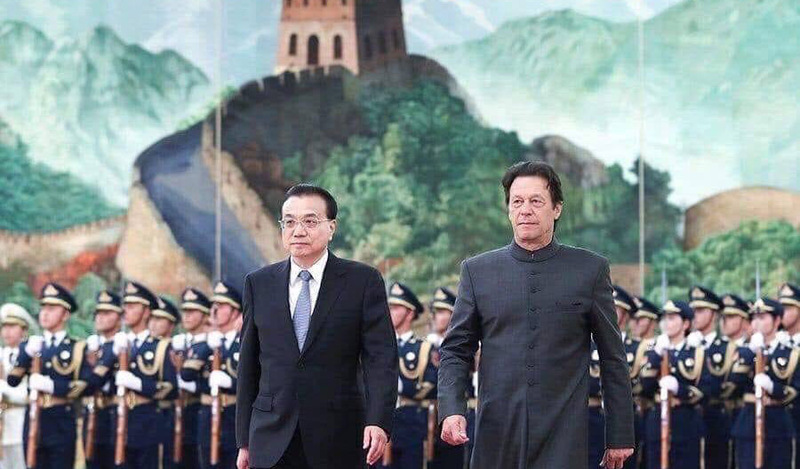 Besides Beijing, Prime Minister Imran Khan visited Shanghai to attend the First China International Import Expo. Reviewing with satisfaction the historical development of China-Pakistan relations and the great strides made, both sides reiterated that the friendship between Pakistan and China has withstood the test of time, notwithstanding the changes in domestic, regional and international environments. 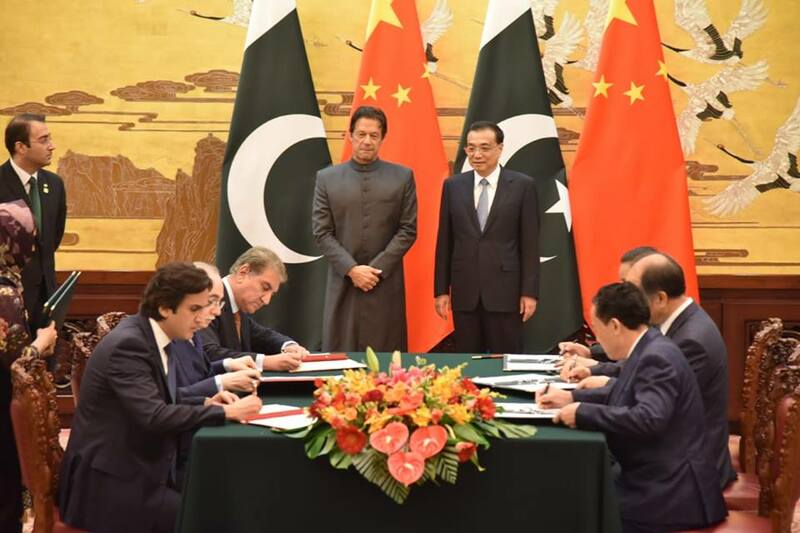 The two sides agreed to further strengthen the China-Pakistan All-Weather Strategic Cooperative Partnership, and build closer China-Pakistan Community of Shared Future in the new era in line with the principles set forth by the Treaty of Friendship, Cooperation and Good-neighborly Relations between the People’s Republic of China and the Islamic Republic of Pakistan signed in 2005. The Chinese side reiterated that China’s relationship with Pakistan is always a matter of highest priority in its foreign policy. China appreciated the consistent and strong support by Pakistan to China’s issues of core interest, and reaffirmed its support and solidarity with Pakistan in safeguarding its sovereignty, independence, territorial integrity and security. It appreciated Pakistan's important role in promoting regional peace, stability and security and efforts for the peaceful resolution of all outstanding issues with its neighbors. 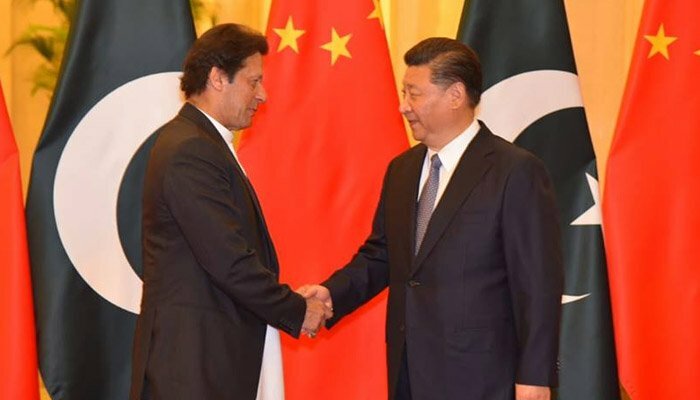 Prime Minister Imran Khan commended President Xi Jinping’s visionary Belt and Road Initiative (BRI) that aims at enhancing regional and international connectivity. The two sides reiterated that BRI represents a win-win model of international cooperation and provides new opportunities for economic rejuvenation and prosperity of all countries. As a signature project of BRI, the fast development of CPEC has played a significant role in the Belt and Road cooperation. Both sides reviewed the early harvest phase of CPEC and expressed satisfaction that rapid progress has been made in all areas especially in the energy sector. 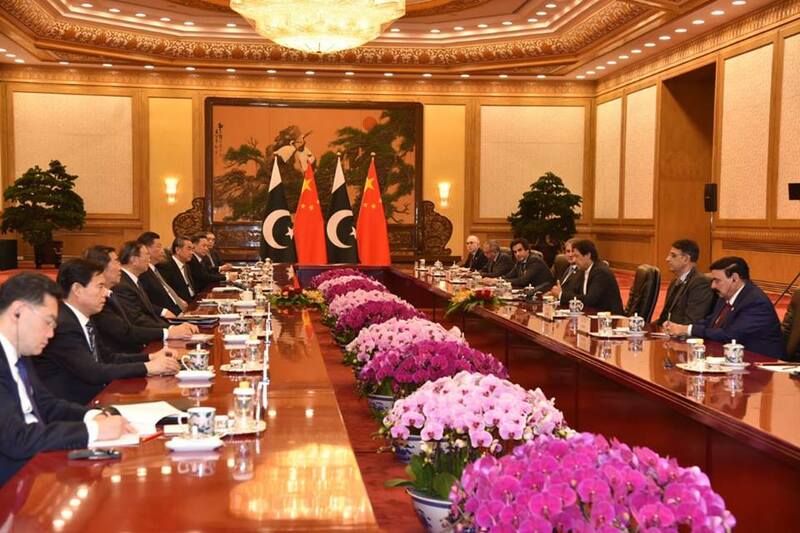 The two sides reaffirmed their complete consensus on the future trajectory of the CPEC, timely completion of its on-going projectsand joint efforts for realization of its full potential with a focus on socio-economic development, job creation and livelihoods and accelerating cooperation in industrial development, industrial parks and agriculture. Both sides agreed to task the CPEC Joint Cooperation Committee (JCC) to explore new areas of cooperation. In this regard, it was decidedthat the eighth session of the JCC will be held in Beijing before the end of the year. To further expand cooperation under CPEC, the two sides announced the setting up of a working group on socio-economic development, to assist with livelihood projects in Pakistan. The two sides agreed to further consolidate and expand bilateral economic relations as a matter of high priority and to strengthen multi-faceted pragmatic cooperation in trade and investment. They agreed to boost Pakistan’s industrial capacity including through joint ventures in priority areas, relocation of labor-intensive industry and SMEs collaboration. The two sides noted the growing volume of bilateral trade and agreed to take concrete measures to address trade imbalance. These would includeexchange of trade missions, broadening market access for agricultural and ICT products, and simplifying customs, quarantine and phytosanitary procedures. In this context, the two sides agreed to conclude the second phase of the China-Pakistan Free Trade Agreement as early as possible, and continue discussions on the Pakistan-China Agreement on Trade in Services. The two sides attached importance to friendly cooperation between the People’s Bank of China and the State Bank of Pakistan (SBP). They expressed satisfaction at the operationalization of the currency-swap agreement and reaffirmed the need to further strengthen cooperative ties of financial and banking sectors between the two countries. Both sides noted with satisfaction that Chinese and Pakistani banks have operations in both countries. Both sides agreed to strengthen cooperation on tourism promotion. The Pakistan side recognized China’s unremitting efforts to combat corruption and its great achievements, and evinced interest in learning from the Chinese experience and accomplishments in the field of anti-corruption. Both sides agreed to further enhance cooperation in culture, arts, broadcasting, films, publication and sports under the Executive Programme of the Cultural Agreement between the two countries. The two sides shall enhance exchanges and cooperation in museums and promote exchanges in the conservation and presentation of heritage and artifacts and exchange of archaeologists between the two countries. The two sides shall discuss the possibility to organize an Ancient Pakistan and Gandhara Artifacts Exhibition in Beijing. They also agreed to strengthen cooperation in the field of sports. The respective sports authorities will discuss further details. The two sides will actively encourage and support their publishing houses to translate and print literary classics so that the people of the two countries can appreciate each other’s rich culture. Both sides agreed to further enhance cooperation against “Three Evils” of extremism, terrorism and separatism. Both sides will continue to regularly utilize their existing mechanisms of Strategic Dialogue and Counter-terrorism and Security Consultations to further promote communication and cooperation in relevant fields. The Chinese side conveyed its support to Pakistan's commitment and efforts to counter terrorism, assured Pakistan of its support in implementing its counter-terrorism strategy, and commended the tremendous sacrifices made by the Pakistani nation in fight against terrorism and for Pakistan’s immense contribution to regional and international peace and security through its achievements and successes. The Chinese side recognized Pakistan’s efforts in actively strengthening financial regulations to combat terrorism financing, and called on all relevant parties to view Pakistan’s counter-terrorism efforts in an objective and fair manner. Both sides believe that peace, development, cooperation and win-win are shared aspirations of the peoples in the region. All nations should promote cooperative and sustainable security,refrain from developing relations targeting any third country, contribute more to the mutual trust between regional countries, and respect sovereign decisions of countries in determining their development paths and respective foreign policies, so as to jointly safeguard the peace and stability of the region. Both sides believe that a peaceful, stable, cooperative and prosperous South Asia is in the common interest of all parties. Both sides emphasized the importance of pursuit of dialogue and resolution of all outstanding disputes to promote regional cooperation and advance the goals of lasting peace, stability and shared prosperity. China appreciates Pakistan’s quest for peace through dialogue, cooperation and negotiation, on the basis of mutual respect and equality, and supports Pakistan’s efforts for improvement of Pakistan-India relations and for settlement of outstanding disputes between the two countries. Pakistan supported active participation of China at the platform of the South Asian Association for Regional Cooperation (SAARC). During the visit, the two sides also signed fifteen(15) Agreements/MoUs on a range of bilateral issues.